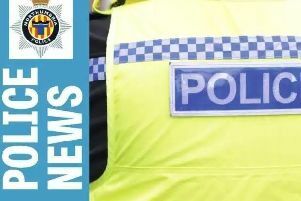 Police investigating a sexual assault on a woman are keen to speak to a taxi driver who may have seen the men involved. A woman was sexually assaulted in Collingwood Mansions, in North Shields, at around 9pm on Sunday. A group of around five men who were in the street outside the flats made comments to the woman and then followed her into the entrance area of the flats. While she was in the communal area of the block of flats one of the men pinned her against the wall and touched her inappropriately over clothing. She managed to push him away. A second man who was also there, threatened her and demanded money. He stole some cash from her wallet and punched her in the face before the men left the scene. The woman was shocked and distressed by the incident. Officers have now established the woman took a taxi from the taxi rank on Tynemouth Front Street, outside the Salutation Pub, at approximately 8.45pm which took her to the Ferry Landing at North Shields near Collingwood Mansions. Police investigating the offence want to speak to the driver of the seven seater taxi, and anybody who may have observed a group of males near North Shields Ferry landing around 9pm that day, as it is believed they may have information which could help officers. Anyone with information should contact police on 101, quoting log number 491 of 30/05/16 or ring the independent charity Crimestoppers on 0800 555 111.